Being a good employer is so much more than owning and operating a company that pays out big salaries. You need to stop treating your staff like they are a dime a dozen and treat them the way you would personally want to be treated by a company. If you believe that your best talent is easily replaced, then you’re doing something wrong with regard to your human resources and recruitment, and if your business is involved in hiring in long-distance drivers and truckers, then you need to seriously consider your place in the business world. Retaining the top talent in the long term means understanding the absolute importance of keeping your employees for a long period of time. It means understanding what makes an individual employee stay productive and it means taking the time to get to know your people on a human level - not just the employer / employee level. Losing staff in large numbers isn't just a blow to your business, it’s disruptive to everyone and expensive. When your company has drivers on the road, you need to know that you are doing everything possible to keep them satisfied with their work and safe in what they are doing. Running a haulage firm is challenge enough without losing the best drivers on your staff due to incorrect management or unsafe driving practices. Constantly having to advertise, interview and train staff is an expensive way to spend your time, and having to hire new people all the time is difficult on the staff that you already have, because they have to fill the gaps while you are hiring new people. High turnover is stressful on a company, which is why you should be making a point of bringing in the right talent and then working hard to keep hold of them. A reputable company - especially one in the trucking and haulage industry - should be starting the talent retention process before you’ve even brought someone on board. A company that isn’t looking after their drivers and isn’t paying attention to their home life and their personal issues is one that is going to be surprised when accidents happen. The causes of most truck accidents for a business come from strung out and stressed out staff that haven’t had their concerns listened to. If you’re not starting your talent retention efforts before staff have even come on board, you’re not going to get very far. 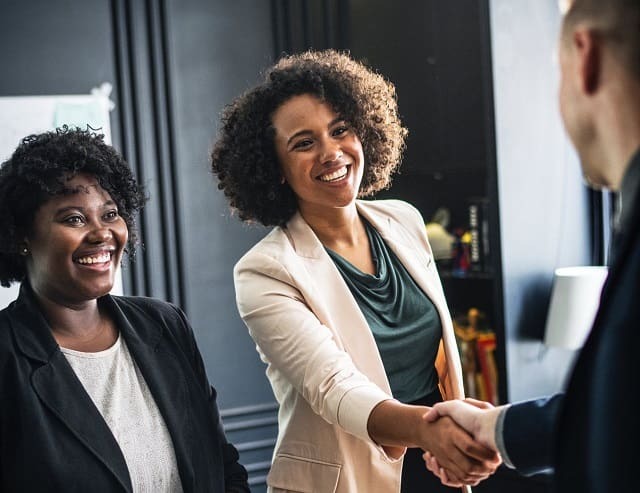 New staff need to be able to find reviews and information about the way that you treat your current employees, and the best way to retain good staff is to ensure that you are making efforts to hire the right ones in the first instance. Keeping a revolving door on your business will stop your company from successfully building. If you don’t know the people who work for you, you’re never going to understand what motivates them and having a constant stream of new people means that you are constantly trying to get to know your staff. There’s never any clarity in their long-term goals or their wishes for the future, because by the time you have they’ve left you again. This is where you need to realise exactly where you are going wrong in your employee retention efforts. You cannot build any traction in your efforts with consistency if you constantly have new staff coming on board. The longer your employees stay in their roles, the more time you have to get to know what motivates them to come to work every day. It also gives you the time to help them achieve their goals and acquire the right skills. Retention is fantastic for your ROI and strengthening your business will keep the right people on board. High turnover is a bottom line killer. It is a financial faux pas. It’s an empty hole that you are throwing your cash into - you get the gist. When you have employees leaving you for a better offer all the time, you’re forced into spending more money to try and replace them with talent on their level. You have two things that you need to do here. The first is to work out why people keep leaving you - what are these other companies offering them that you aren’t? And the second is to start putting processes in place that keep you financially secure when you have staff moving on. You cannot afford to keep replacing people at a rapid rate; it is going to drain all your resources doing it and - let’s be honest - it’s exhausting. You’d be far better off funneling your money into retaining your staff than replacing them all the time. Sounds dramatic, but it’s true. When your best staff are moving elsewhere, you’re going to lose their ideas, their attitude and their skills, and you fought hard enough to get them on board in the first place. The other thing is that you could actually like the people that you bring on board, so if they’re leaving you for greener pastures, then you’re losing someone who is good for your business in all ways. The only way to combat this is to look at your employee retention efforts. Are your drivers on the road too long? If your corporate office more like a prison? Are there not enough salary or perks to keep them wanting to stay with you? Are you too harsh and ruthless in your efforts for productivity, barking orders and generally making people miserable? The only way to know is to ask your people what could be better in the organisation and go from there. When your staff is constantly changing, you can’t build a good relationship with them. There is no camaraderie, no banter and no bonds being made. By the time you get a chance to do so, your staff have decided to move on and you’re left behind to pick up the pieces of some bad decision making. The more happiness and joviality that exists with your staff, the happier they will be. If you have people constantly leaving you, it doesn’t paint a very good picture for others that you bring on board and you don’t want to be known as a ‘stop-gap’ employer - the place where people go to gain some experience before moving on. Losing employees will be an inevitability from time to time, it happens, but if you are losing every member of staff within mere months of on-boarding, then the fault lies firmly at your feet. If you are dealing with clients in your business waiting deliveries and goods, they’re going to notice when they have different drivers every time they get a delivery. Now, one of the best ways to maintain customer relationships is to maintain familiarity and providing the same drivers for the same clients can be one of the best ways to do that. Your clients will be interacting with your staff a lot - which means that if they have built a relationship with them, it’s going to be good for you to maintain that. It’s good for your image as a business, too, if you are providing a consistent service. Your business cannot maintain a good name if your clients are constantly dealing with new people, because they rely on you being consistent to maintain their own relationships. The best thing that you can do as a business is to work on your retention efforts to keep the best staff that you have. Your business cannot afford to keep the revolving door swinging and you should take yourself back to basics and learn how to treat your staff so that they never want to leave you. Take a leaf out of these companies, some of which have the best retention rates around. I hope you enjoyed this article about everything you need to know about recruiting and talent retention. Interested in more articles about recruiting and HR?